I can find foods that I love any time of year, but fall boast my favorite eats by far. 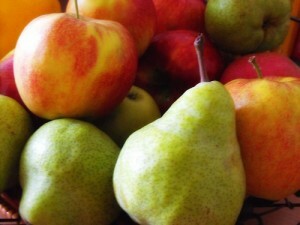 Apples, pumpkins, pears…the healthy fall treats go on and on! Whether you’re whipping them up at home or enjoying them when out and about, here are five healthy fall treats we just can’t get enough of! Wow, these all look really amazing! These foods look great and it’s amazing to know that they are healthy foods and not junk.